Gluten-free raspberry walnut coffee cake is the perfect dish for Sunday brunch. 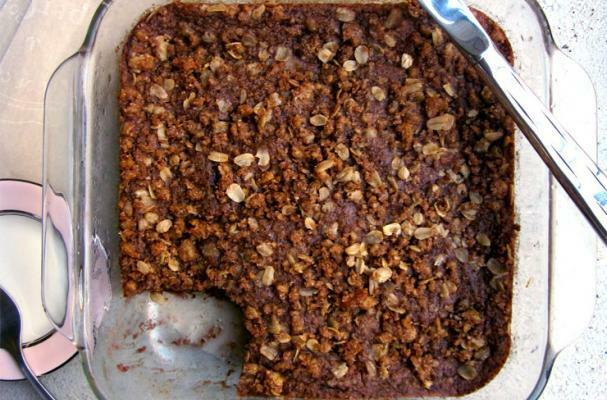 This rich and dense coffee cake replaces all purpose flour with ground walnuts and oat flour. When purchasing oat flour or rolled oats for this recipe, check the package to make sure it reads "gluten-free." Tart raspberry jam is swirled into the batter just before baking. Mix up the crumble topping: add the walnuts to a bag and crush until broken down into pea-sized crumbs. Toss with the oat flour, cinnamon, sugar and rolled oats if using. Stir in the tablespoon of oil until everything starts to come together--mixture should be crumbly. Sprinkle the topping evenly across the top of the batter and bake for 25 minutes, or until browned on top and it springs back slightly when touched. Serve warm.